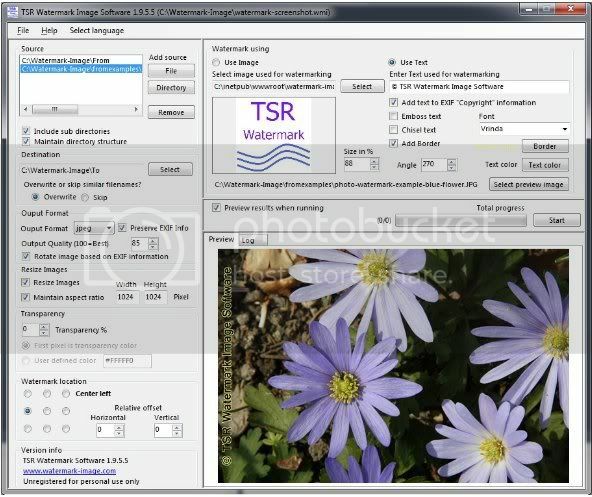 New feature : You can now select if you wish to resize the images before or after applying the watermark, this is nessesary if you are using an image as watermark and it is not big enough. Made some adjustments to the registration engine. ◦ Fixed a bug in the EXIF date and time parsing, it now displays the date/time in your local culture instead of using the EXIF string.